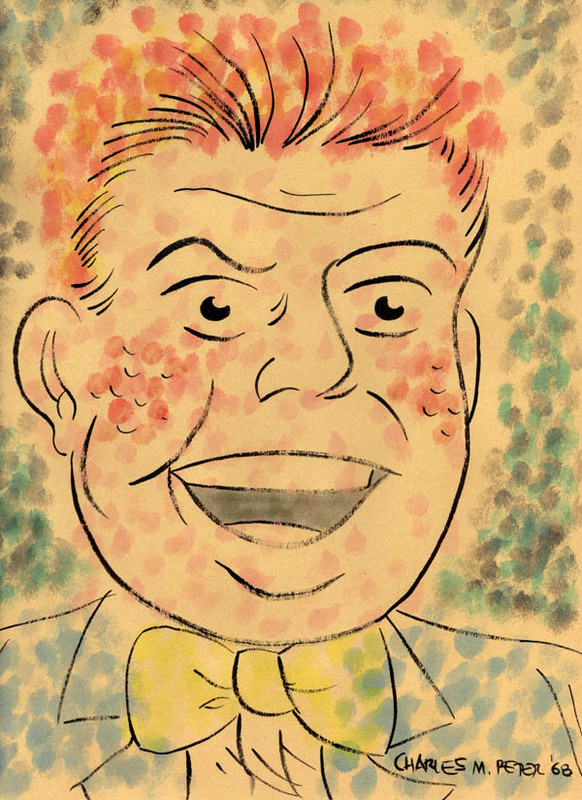 "Jimmy Olsen" by Charles M. Peter, 1968. The second in a new series of paintings by imaginary primitive artists featuring comic book characters. 9" x 12" on a sheet of austere heavyweight manilla drawing paper.